Africa’s mass appeal. THREE hundred students from southeast Queensland secondary schools will join The Queensland Choir in an experience of a lifetime. 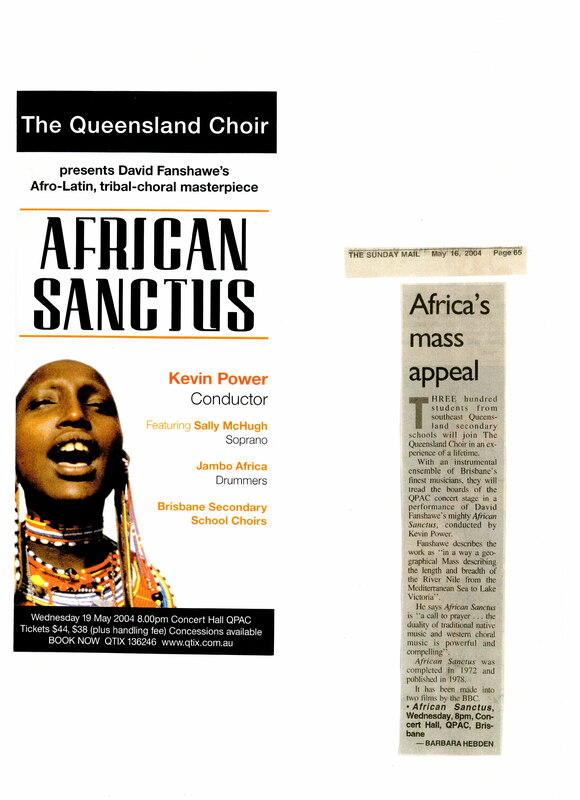 With an instrumental ensemble of Brisbane’s ﬁnest they will tread the boards of the QPAC concert stage in a performance of David Fanshawe’s mighty African Sanctus, conducted by Kevin Power. Fanshawe describes the work as “in a way a geographical Mass the length and breadth of the River Nile from the Mediterranean Sea to Lake Victoria”. He says African Sanctus is “a call to prayer . . . the duality of music and western choral music is powerful and compelling”. 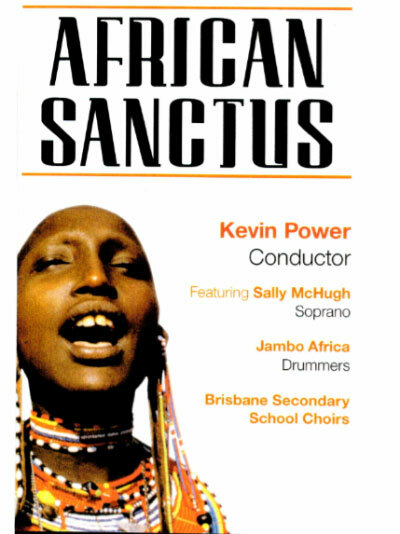 African Sanctus was completed in 1972 and published in 1978. In fact, BBC has made it into two ﬁlms.